We tend to think of skincare, cosmetics and grooming as relatively modern preoccupations. 20th Century developments in science, medicine and surgery have certainly meant that skincare, cosmetics and dermatology have come on in leaps and bounds. However, taking care of our skin is something humans have been doing for thousands of years and can be traced back to the ancient civilizations of Egypt, Greece and Rome. Milk, honey and olive oil, were used for their humectant qualities; yogurt for its ability to soothe the skin after being in the sun; sea salt scrubs were used to exfoliate and remove dry skin, while essential oils such as lavender and rose provided antioxidants. With botanicals making a big comeback in the world of cosmetics and skincare, here’s Solvaderm’s guide to interesting skincare and cosmetic facts through the ages. Ancient Egyptian tomb inscriptions show the royals employed manicurists and beauticians to help maintain their personal grooming regimens. A second century Greek physician known as Galen of Pergamon is credited with inventing cold cream, the precursor to what we know as moisturizer today. As far back as Roman times until the 20th Century, pale skin was seen as a sign of leisure and affluence while a tan was a sign of poverty and working out in the fields. Red wine dregs, rose petals and crushed chalk were amongst a host of natural dyes used by Roman women to give their cheeks a rosy blush. During the 16th & 17th Centuries face powders and cosmetics contained poisonous ingredients including arsenic and lead which sometimes resulted in death. The oldest surviving cosmetics company in the world is thought to be Yardley of London who were granted a warrant to make soap By Royal Appointment in 1620. Before the 18th Century cosmetics were considered the preserve of nobility and royalty but subsequently until the 20th Century were only considered suitable for actors. Mass produced cosmetics were first available during the 19th Century but had to be bought under the counter as they weren’t considered suitable for ladies at the time. Women began to shave their legs at the start of the 20th Century when hemlines rose but the ancient Roman women went to salons to have the hair on their legs plucked by tweezers made from bone. Coco Chanel is credited with popularizing the suntan in the 1920’s after she became sunburnt while staying in the South of France. In England during World War II women painted their legs brown and used eyeliner pencils to draw seams on the back of their legs to give the impression they were wearing stockings made from Nylon or silk. Despite the availability of mass produced skincare and its popularity in the 1920’s, the Great Depression and World War II meant homemade products were common until the 1950’s. There is no doubt that through the ages, women (and some men!) 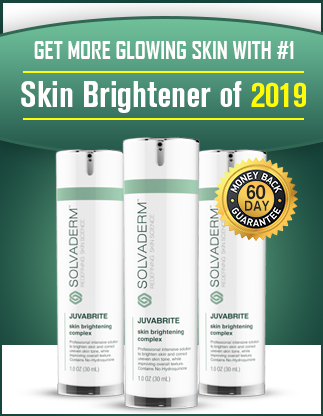 have gone to great and sometimes extreme lengths to maintain their beauty, thankfully today Solvaderm can provide expert skincare based on scientific principles.